I am always looking for ways that I can use leftovers. 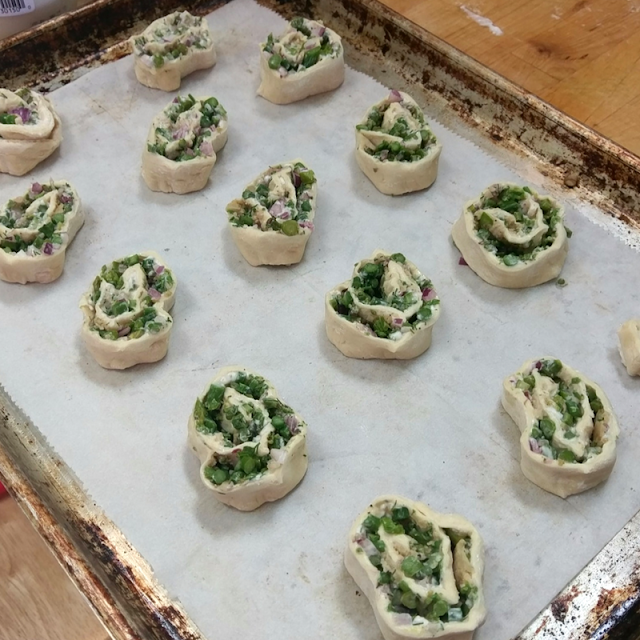 These pinwheels allowed me to use up the blanched asparagus from the night before. 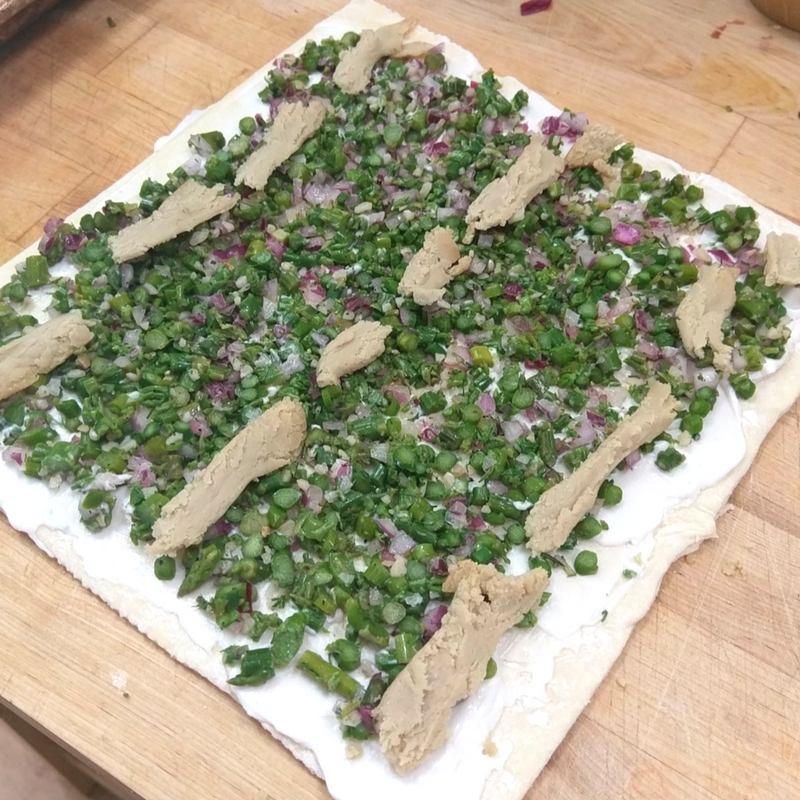 My original idea was to keep the asparagus long and place them in rows on square sections of puff pastry. This is my issue with using puff pastry. I feel like it doesn't always bake consistently. Sometimes I bite into a piece and it's hard, not flaky. For me, this is a bit disappointing as I like to have every bite flaky and crispy as the layers separate in my mouth. Not to mention, pinwheels are easy. You spread the inside out, roll, slice, and bake. 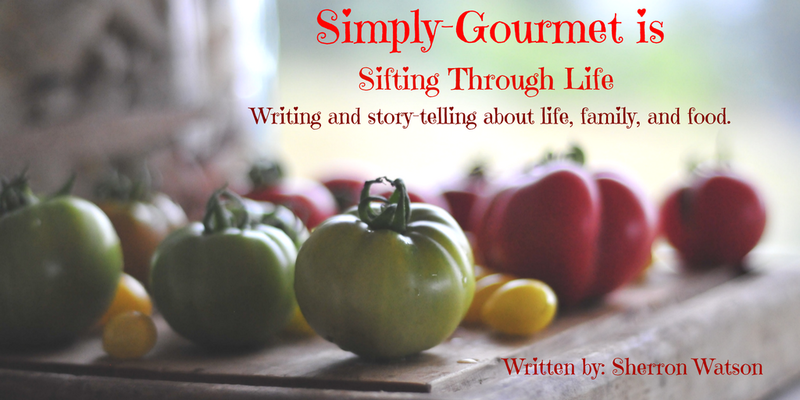 That's pretty simple for a wonderful little morsel of deliciousness. 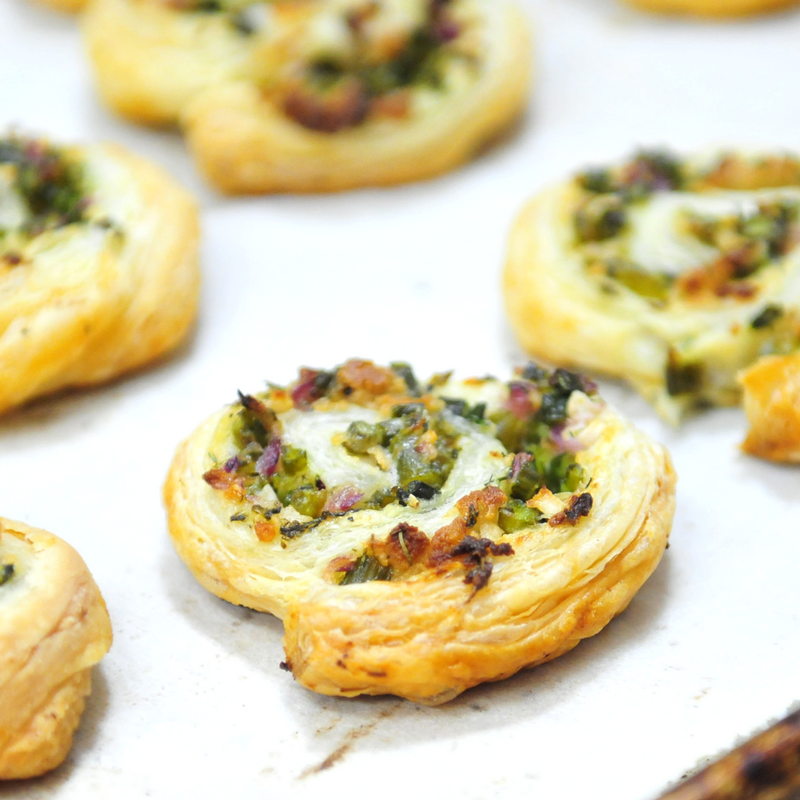 I know the issue may be me or my oven with using the puff pastry in other ways besides the pinwheel format. I will continue to work on that. To be honest, we don't eat much puff pastry so it may never turn into a huge problem for me to solve. I use a vegan puff pastry that I find at my local market. I have not tried to make it from scratch with out butter. I have made it with butter before with great results. We eat a ton of fresh food. 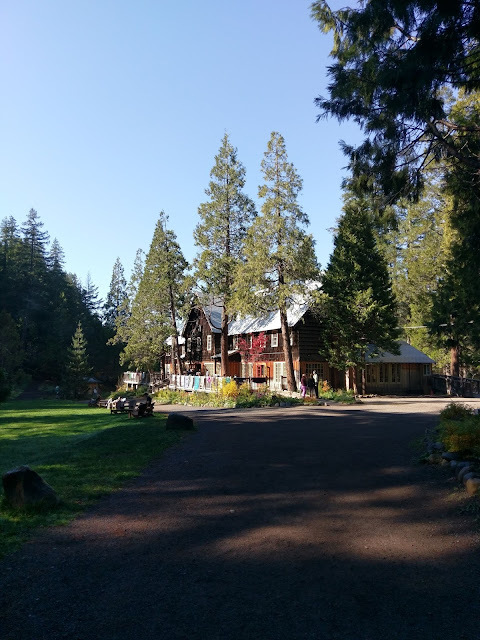 It's nice for my family to have something different once in a while. 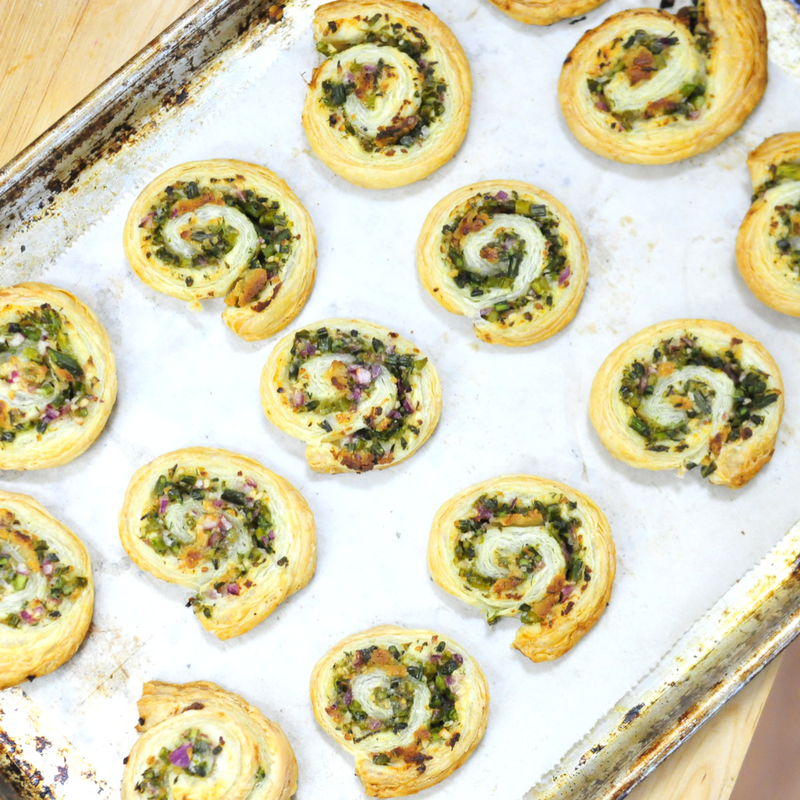 These little flaky pinwheels are fun, easy, and a nice change of pace from our everyday crunchy, juicy, and fresh fruits and vegetables. I used two products that you might not be familiar with. I spread Wildwood Garlic Aioli as the base before adding the filling. 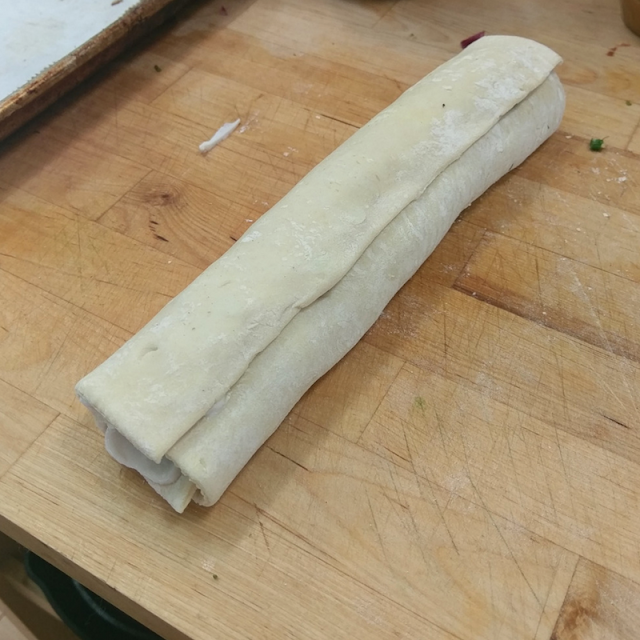 I did this because I wanted to make sure that the insides did not fall out as I rolled the puff pastry. You could easily use hummus, homemade mayonnaise, or a vegetable spread of your choice. The second thing I used is Miyoko's Vegan Cheese. This is a company that I found online. I love her cheese. 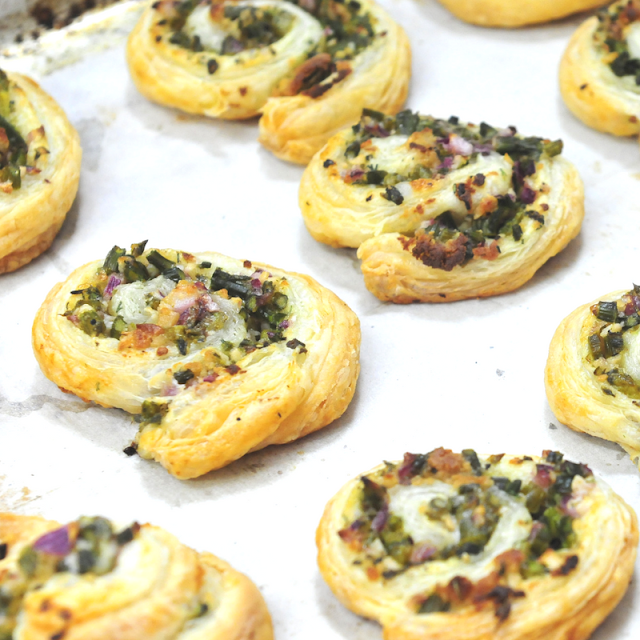 I used a thin amount to add flavor and a bit of gooeyness to the pinwheel. Both of these items are not necessary to make the pinwheels but they do add a layer of flavor. * This is not an ad. I really do use these products in our kitchen. 1. Preheat oven to 450. Line a cookie sheet with parchment paper. 2. In a small bowl add asparagus pieces, red onion, garlic, dill, salt and pepper. 3. 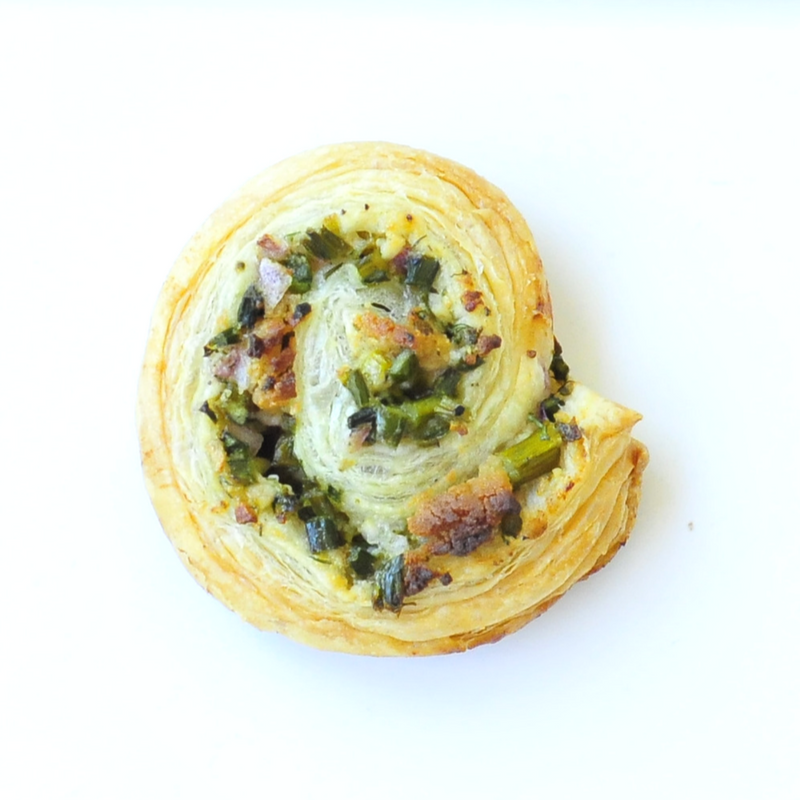 Take thawed puff pastry and unfold. Using a small spatula, spread a thin layer of garlic aioli or veganaise as the first layer. 4. Add the asparagus mixture and spread evenly. If you are using cheese, add now. (see pictures below). The cheese is a vegan variety with the texture of cream cheese. 6. Bake for 15 minutes and then check. I baked mine for 24 minutes but I like mine with brown edges and my oven bakes cooler than most. 7. Serve hot. Store leftovers in fridge and microwave to warm up for a few seconds the next day.